Thank you for your interest in IMERT. If you have any specific questions about the organization please contact the IMERT Office. If you are interested in joining, click here to get started. IMERT works to support Illinois by maintaining 24 hour operational readiness to lend medical assistance in times of disaster. 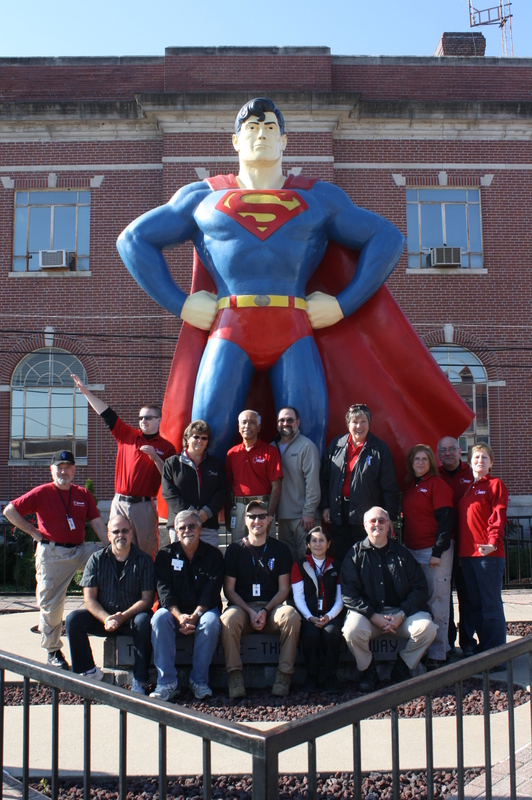 Team members include volunteer healthcare professionals and mission support specialists from across the state. Additionally, our focus is to enhance resilience in our communities through education and training to improve the overall capability of the state of Illinois to respond to disaster and mass casualty events. The IMERT concept emerged in 1999 when a small group of emergency physicians, nurses, and toxicologists met with individuals in the Division of Emergency Medical Services of the Illinois Department of Public Health. The initial intent of the group was to assess the level of awareness and preparedness of emergency department personnel in Illinois to respond to a large-scale WMD event that might overwhelm hospitals and surrounding communities. Although planning to enhance preparedness for a major incident was underway in many large cities, the Illinois group realized that the state as a whole needed a network of coordinated mutual support and a more systematic approach to responding to a large scale catastrophe. They realized that it was important to develop organized protocols, formalize communications systems and recognize a core of specially prepared responders to assist in case of a mass casualty event, including one resulting from a WMD. In the summer of 1999, The Illinois Department of Public Health, along with this group, applied for and received a grant from the Centers for Disease Control and Prevention (CDC) for see funding for the Illinois Medical Emergency Response Team (IMERT) to develop educational and infrastructure to formalize the ability to respond to mass casualty events. 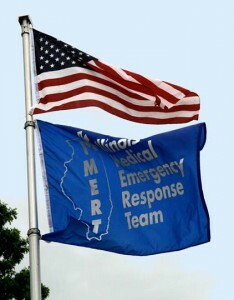 The Illinois Medical Emergency Response Team (IMERT) is a multi-disciplinary group of volunteers trained to respond to medical disasters and provide interim medical care for survivors or evacuees. The team’s health care professionals are mostly from an emergency background. The logistics, IT, communications and safety specialists come from a variety of backgrounds. IMERT has been actively participating in drills, trainings, and deployments since 2003. Our most prominent deployment was our initial response to Hurricane Katrina. On August 30, 2005, the State of Louisiana sent out an Emergency Management Assistance Compact (EMAC) request for medical assistance. The EMAC request was received by the Illinois Emergency Management Agency (IEMA) and forwarded to the Illinois Department of Public Health (IDPH). IDPH contacted the Illinois Medical Emergency Response Team (IMERT) with the intention of using IMERT volunteers to fulfill the request. 51 IMERT members were dispatched. The team was assigned to go to the Louisiana State University (LSU) Pete Maravich Assembly Center (PMAC) to assist with a field hospital. This assignment came from the Louisiana’s State Emergency Operations Center (SEOC). IMERT teams combined with New Mexico DMAT team, U.S. Public Health Service and local providers to staff the hospital 24 hours a day. The PMAC field hospital treated more than 6,100 patients, handled 15,000 evacuees, and inoculated 500 Mutual Aid Box Alarm System (MABAS) and 150 Louisiana State Police personnel throughout the course of the deployment. Overall, the mission was a huge success for IMERT and IDPH. Since then IMERT continues to take part in responses to incidents in multiple parts of the State of Illinois. These have included flooding, ice storms, tornado and high profile events. IMERT members are regularly given the opportunity to participate in exercises and trainings sponsored both by IMERT and other agencies. These opportunities occur several times throughout the year.